What a weekend! We enjoyed the gorgeous weather today by taking the babies for a stroll around Hermann park - okay, maybe not, we're dreaming again. This weekend was all about poop! We have been waiting all weekend for Noah to poop out his barium so he can eat. Yes, it glows, and we decided to spare you the visual details by not posting the photo. 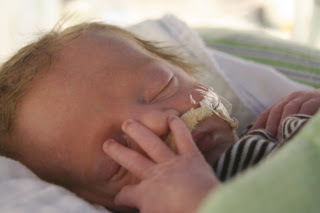 The whole NICU now knows about this and he should be able to begin feedings tomorrow!! Finn pooped out this morning, too. He decided to take a little siesta from breathing and keep the nurses on their toes. 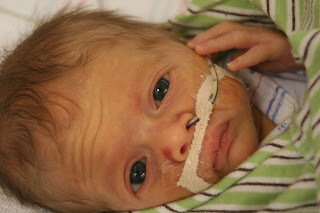 He is now back on the oxygen and was a little tuckered out today from all the excitement. Cohen has to stop halfway through his feedings because he has to make room for more milk - another dirty diaper for daddy. 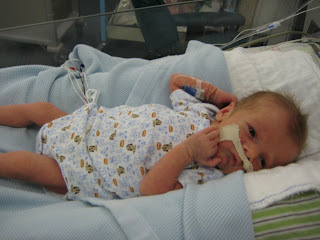 We think Cohen might be able to come home in a few weeks, after he masters 8 bottles per day; he is now on 6 and rockin! My friend Walter, to this day, firmly believes girls don't poop, so we won't ruin this for him by talking about Sophia. She is now 3 lbs 9 oz and loves to give hugs. She hypnotizes you with those big eyes for the 30 minutes she's awake. How our lives have changed! 2 years ago we came back home from Austin City Limits music festival (remember Hurricane Rita! ), hung out on our deck under the ghetto mister with a few cocktails , and purchased flights to Hawaii on a whim! Those days were pretty awesome and these days are pretty awesome, just in different ways. We give thanks and praise to the Lord for each and every day! What a wonderful weekend! Mari you look awesome and so happy! Ansley and I are thinking of coming next weekend, if your up for it? Love to the Goerlichs!! The babies are looking so good - great coloring - it has been fun watching them grow. They are so darling, getting bigger and growing right before our eyes. How marvelous and wondrous they are. Mari, what a beautiful picture of you and Sophia. I know you are eagerly waiting Noah to get to start eating. Won't be long. Take care and know we are thinking daily of you and the "kids". Hi Guys! 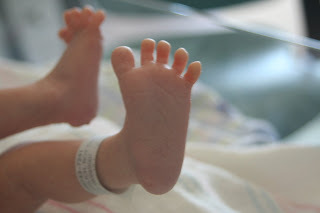 Sorry it's been so long, been on a few trips since the babies were born, but I always check in-love the blog. I check in and show beautiful Cohen, Finn, Noah and Sophia to my co-workers. Everyone's hearts just melt as far north as Toledo. Just got back from ACL - my first - and thought of you guys there. It was great, but you are right, where you guys are at now ranks, besides one day you can all go - free for kids under 10! Headed to California tomorrow, but hope to be able to finally visit with you when I return. Big love to you all and Mazz says woof to Jaz.